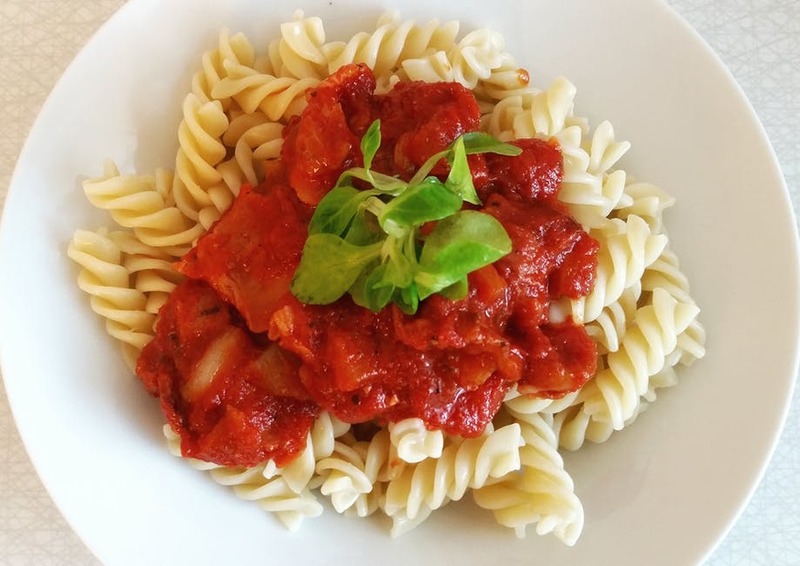 I'm going to start out by saying this is not my photo, I found a stock photo of pasta with tomato sauce as a sort of place holder. Hopefully I'll remember to take a photo next time we eat this. Last night I made Chili pasta for dinner. I basically took 2 recipes and smushed them together and got this. . .and my husband said "you have to make this again" so, despite the kids complaining because they hate tomatoes, I'm putting it up on this blog so I can find it later. I'm on a gluten free, dairy free, low fodmap diet so if you don't have to worry about avoiding onions or garlic you could probably replace the tomato passata with tomato sauce. 2) When there is about 10 minutes left on the pasta start cooking the ground beef. 3) When the ground beef is browned add the spices, salt and pepper. 4) Add tomato passata and diced tomatoes. 5) Cook until the pasta is ready, worked out to about 5 minutes. 6) Mix in pasta and serve. Hi I'm Lisa! I'm a Christian wife and mother of one sweet little girl who keeps me fairly busy. I enjoy being creative and expressing myself through song and dance. My daughter and I eat gluten free due to Celiac disease.